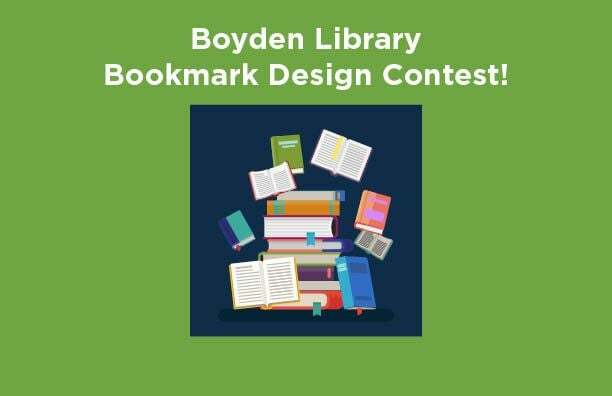 Using your creativity, design a bookmark for Boyden Library. You may use original drawings, paintings, photography, digital images, collage, memes, poetry, etc. Entries will be judged for their value in promoting use of Boyden Library. Front and back designs must be the same size. All submissions must be publishable by a third-party publisher as a 2D paper bookmark. Deadline to Submit: February 11!